Goo.gl is the well-known and effective URL shortening tool that offers wide range of features to create and shorten the hyperlinks. All goo.gl URLs and click analytic are public and can be accessed by anyone. 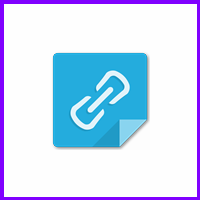 Shorten, share and track your shortened URLs. goo.gl allows you to track. Bit.ly is the smart URL shortening tool was launched on 2008 as a URL shortener of Twitter. It can let you view the real-time traffic on your URL and analyze the data. Sharing functionality, building good traffic are key features of this tool. It can be obtained from website, browser extensions, mobile web and various third-party tools. Tiny.CC is a simple URL shortner meant to help you shorten complex URLs along with additional features to track and manage URLs. It can assemble, compile and link much faster than other tools in this line. It can run automatically at compile time with its command-line switch. Ow.ly is a very useful URL shortening tool. It can share files and track visits as well. This tool is operated by a well-known social media managing service Hootsuit. This tool is pretty slimmer and non-obstructive. It also allows bookmarking of links. Moourl will let you shorten the massively long and complex URLs that you obtain from Youtube or other sites. This tool will generate smaller URLs for your and give you an option to customize your URLs if you haven’t used that URL till now. TinyURLs is a powerful URL shortening tool will create links that will be pretty short. Its easy-to-use features include tracking aliases, password protection, sharing of multiple links and managing track of all links with graphs and statistics. You can use all its features after signing-up. Su.pr is a URL shortener i.e. offered by StumbleUpon; a social network meant to allow the users stumble over the web. This tool will let you syndicate your content or blog posts to StumbleUpon, Facebook and Twitter within one mouse click. Cli.gs is one of the best URL shortening tools that will provide you detailed statistics of traffic on your website. Key features of this tool are traffic statistics and permanent redirection. Adfly is the URL shortener service that pays. It has Safe Advertising All advertising is strictly family-safe with no popups, Campaigns start at only $5. Low Minimum Payout, Detailed statistics are provided per link, Easy-to-use API that allows your website, widget or app to create an AdF.ly link instantly and securely. Dwarfurl is one of the very basic URL shortening tools that allow tracking statistics and traffic of the URLs shortened by it. It would prove perfect choice for tracking the number of people who visited your links.